As an Industry Analyst my role is to identify trends, market forecasts and publish my findings in research reports. As such, Industry Analysts are different than Financial Analysts, which I’m not. While I cite where I’ve found the data in the comments, I can’t ascertain the accuracy of some of these sometimes 3rd party data sources. Note that the 2012 revenues are reported at a different time from the employee headcount was likely reported (Q1, 2013) The following is not to be considered for investment purposes. Comparing both revenue per employee, rate, we found some amazing efficiencies, in particular with Facebook, Zynga, and WordPress. Here’s a data table comparing the 2012 reported revenue over employee headcount, found from online public data. Update: There are many comments coming in about Foursquare revenue, please see comment section, there is additional insights on fundraising, and their focus. As reported by public available data, Automattic, Zynga, Twitter, and Facebook are all making over $300k per employee, with tech salaries often ranging in 100k range, with additional costs, 300k is a benchmark number for revenue per employee that I often look for. For comparison, Facebook is pushing over $1m per employee, compared to Google (50b revenue for 53k reported employees) is about the same, at $946k per employee. While WordPress team has a modest $45m their internal revenue per employee stands toe to toe with the big dogs. Of these consumer social network, only eight had publically available revenue run rates for 2013, on average, they’re forecasting $3.7b. In total, they’re estimating revenues of $8.3b. Last year, in 2012, ten of the consumer social network sites had publicly available revenues, which amount of $10.7 billion global revenues, averaged across the ten is $1.7b. These startups saw a rapid climb in revenues, on average these companies started in 2006, just seven years ago. There were some startling accelerations in revenues, with Facebook achieving $5b in revenues in 8 years, reported by 2012 public revenues. While under business model scrutiny and executive change-up, Groupon started in 2008 and achieved $2.3b in revenues in four years reported in 2012. Even with this acceleration, Facebook is still far behind Google, which boasts revenues of $50b in 13 years since inception. Many companies are no where near the $1b annual mark, in fact, several players are not on a growth trajectory. Of the lower revenue performers of the group includes: Foursquare, (a low yield of $2m in revenues 2012), Tumblr blogging software ($13m revenues in 2012), and long time Automattic, the makers of WordPress ($45m revenues in 2012). We can’t look at revenues alone, as these numbers don’t take costs into accounts, and found that LivingSocial employs 4,500, and surprisingly, Groupon employs a whopping 10,000 employees. All together, across these 17 consumer social networks, they employed 28,177 professionals. Obviously, this number doesn’t take into account 3rd party software like social media management systems (SMMS) and digital agencies, consultants, and of course, industry analyst firms. The purpose of this post is to identify investors who have had a material event (IPO or acquisition) in the Social Business Software space. Read my other posts in this series tagged VC. Our continued research over VCs and investors in the market continues, yesterday, I presented highlights at the Corporate Venturing Innovation conference, and showed the highlights to LPs and Corporate Bankers of who’s making bets –and who’s winning. The following data was also covered in PEHub, and generating interest from entrepreneurs seeking funding. As an Industry Analyst, it’s key that we understand consumer behaviors, business adoption, and startups, but also funding patterns as they influence startup growth or stagnation. Definition of Social Business Software: SaaS based software companies that provide social software to corporations to use. Popular names include Jive, Buddy Media, Radian6, Lithium, Hootsuite. This does not include consumer social networks like Facebook and Twitter, a report I’ll publish in near future. VC, Investor, Angel: These are all investors in the Social Business Software spaces. They often receive money from LPs (Limited Partners) who charge them for investing in markets. On average, VC firms have a 1-3% management fee of overall fund they manage, and have a carry of 10-30% of total take of return from a fund. 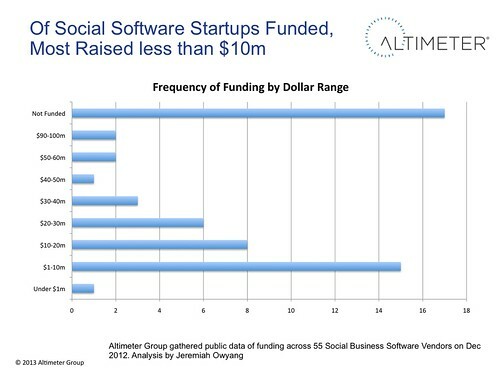 Altimeter conducted analysis of a data set of 55 Social Business Software companies (see list here) in Dec, and has not updated data set to reflect recent funding events, including Sprinklr, Spredfast this week. One caveat that applies to all the following data, we cannot determine specific amount of which VC firm or investor has put into each round of investment. Even within the financial S-1 docs there’s cloudy wording on which firm put in what amount. VCs are a key component of startups, they provide council, open doors, and can even help with auxiliary functions like recruiting, conferences, and biz dev relationships. Savvy VCs are doing value add beyond the check, and are starting to couple their portfolio together to build larger networks. Knowing which investor has blessed a startup is key, as it demonstrates confidence in the business model, executive team, and product roadmap. 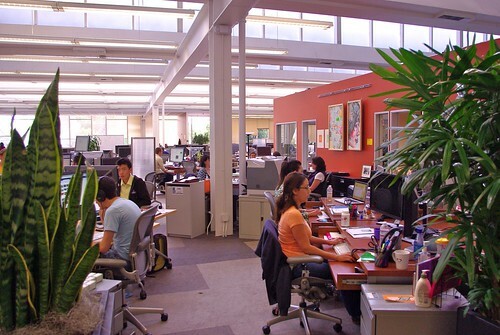 Buyers of social business should ask five key questions of startups about their investors. With that said, having investors is not a requirement, as one-third of startups did not take in investment as they can often go it alone. First Round Capital (coincidentally, not from CA, although with SF offices) leads the pack with 2 material events, including investing two rounds in BazaarVoice with a double down. Sequoia bet hard on Jive, and yielded a strong IPO, and Jive posted a strong year with over $104 million in billings for 2011, Austin Ventures continues to be the leader in frequency of bets in social business, but also was involved in BazaarVoice IPO The following firms had one material event, and invested in one startup, in two rounds: Austin Ventures, Battery Ventures, Bay Partners, BDC Venture Capital, Brightspark Capital, Comcast Ventures, Constantin Partners, General Catalyst Partners, Greycroft Partners, Institutional Partners, Sequoia, SoftBank, Sommerhill Venture Partners, Summit Partners. There’s 20 other folks listed above, including angels that are too numerous to list, but I’ve segmented funding frequency by round on a prior report. There doesn’t appear to be any clear lucky streak among this investment class, although First Round has also heavily invested in Gigya in later stage rounds, so it would be key to watch their movements as they continue to grow. This is just a snapshot in time, and while IPO market is unfavorable now, expect most exits to closely tie to M&A this spring, before the large software companies go on their conference tour of a larger suite. 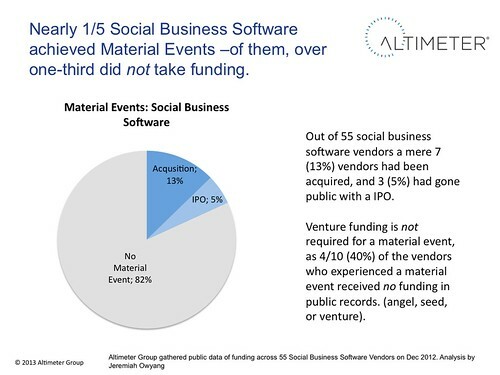 Expect additional M&A to happen this year, although IPOs will be fewer and far between in 2013 in social business software. Stay tuned for future analysis on VC impacts on consumer social networks. The purpose of this post is to identify which investors are most active in Social Business, and segment them from early to late stage funding. I frequently provide due diligence calls to VCs, and also advise startups on their growth startup in highly saturated growth markets. To hone my industry interactions, I’m publishing data on my continued research on funding in the Social Business space (read other posts on the state of funding in social business, and rate of material event or click the VC category to see all posts). The investors are a key factor in the success of a startup, they advise, provide resources for rapid growth, influence a sale or IPO, or can cause a startup to be stymied by innovation through interfering with the executive team. To best understand how investors have influenced the Social Business Software space, we’ve conducted analysis to derive patterns of investors. 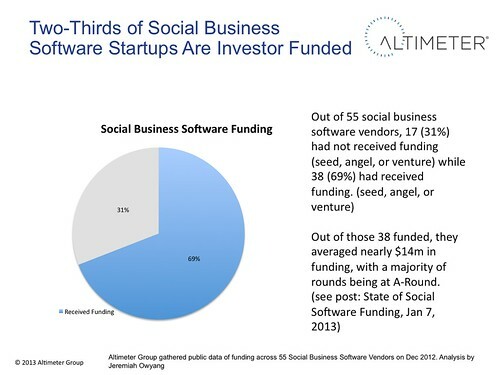 Funding in the Social Business Software space spurred market traction over the last 5 years, often creating a set of clones with limited feature differentiation. Across all stage investments, Austin Ventures showed dominance in frequency of investing in funds, although their total amount of funding is not public record. As expected, there was a plethora of Angel Investors as companies were just getting out of the garage (sub $1m investment). In early stage funds ($1-5M), Austin Ventures, First Round, Floodgate, were the most active. In mid-stage ($5-10m) Battery and First Round showed increased frequency over other investors, in late-stage ($10-20m), Benchmark Capital was frequently involved, and at mature stage (over $20m), Bay Partners and Institutional Ventures were most frequently involved. Entrepreneurs should use these tables to identify ideal investors per startup maturity to reduce time in seeking institutional funding. Definition of VC, Investor, Angel: These are all investors in the Social Business Software spaces. They often receive money from LPs (Limited Partners) who charge them for investing in markets. On average, VC firms have a 1-3% management fee of overall fund they manage, and have a carry of 10-30% of total take of return from a fund. 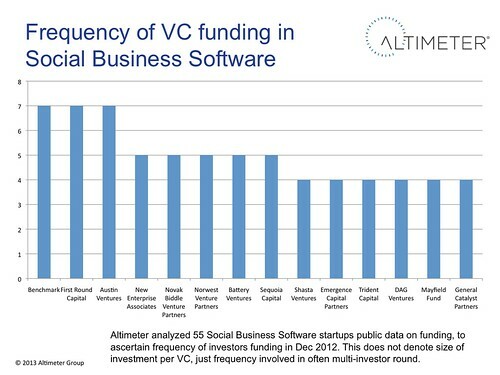 The following VC firms have invested in the most rounds of Social Business Software vendors, as stated in above caveat, this does include total amount invested, only frequency. Austin, Benchmark and First Round have invested the most frequently, across all stages of funding. We found 18 investors that invested in Social Business Software cateogry under 1 million, while many are individual angel investors, there are a few firms involved, and even Facebook’s fund which invested in early startups to grow the application platform. I often have observed that some of these CEOs have self-invested in their own companies. These investors often provide key advice to helping entrepreneurs launch their company. None of them invested more than once in under a 1 milion round, per public records. These early stage, post-seed/angel helps companies to get their proof of concept to the market by hiring additional engineers, operations, sales, and account teams. Austin Ventures, First Round, Floodgate, was involved in a number of early stage investments. Often these rounds involved multiple VC firms in each round for a startup. Often referenced to me as A-B rounds, these early stage rounds are for a company to expand operations, sales, or hire developer teams beyond initial product proof of concept. Battery and First Round were most involved in rounds in the mid-stage, which often involved multiple VC firms in each round for a startup. I hear this referred to as B-C rounds, and often touted as growth stage money, these companies often have hit an elbow in revenue or user growth rates. Benchmark Capital was involved in the most late stage investments, followed by a series of other players. I’ve found that I most often interact with investors in this category, as they’re tracking a crowded market and seek analyst input in due diligence meetings. Often, these rounds involved multiple investors. Often called the valuation stage or ‘pump’ stage investments at this round often are designed to increase an already successful startup’s valuation by raising capital, in prep for a material event or for acquiring competitors. At this stage, most companies are showing 200-400% growth rates, and it’s often a sure bet for investors to see a return. These investors often have ties to bankers, brokers, and can help see a material event though, due to experience. Bay Partners and Institutional Ventures, which are not common in earlier rounds, show being involved in two rounds. While not all startups took funding, the venture community is a key component of the social business software category, accelerating growth, jobs, and innovation. Startups should identify which VCs are best fits for their investment strategy, based on maturity and needs. Most VCs are segmented by different stages of investing, with different value propositions to startups beyond money. Buyers who’re purchasing social business software should understand the deeper relationship of investors and the startups in which they’re purchasing. 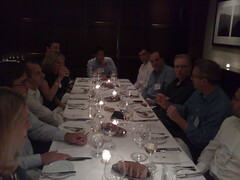 Left: Scale Venture Partners brought VPs of Marketing, CMOs and founders portfolio clients to meet with me last week. When we think of influencer groups in the social media space, we often think of top bloggers like Techcrunch, RWW, GigaOm, Fast Company, Cnet, yet there’s a whole ‘nother influence group that rarely gets ink –I’m starting to spend more time with them as it helps me to better understand the space. An inconspicuous influencer group . The last seven business days have been intensive full day sessions with vendors for my upcoming Forrester Wave research on community platforms. I’m always energized by the fire in the eyes and the passion that comes through when talking to founders and entrepreneurs. Sadly, a problem for entrepreneurs is that they often get tunnel-vision and forget to look up outside of the lab at the greater market, fortunately, they should have VCs (who often sit on their board) that help them to see further, connect deals, and provide guidance. The interesting thing about VCs is how incredibly powerful they are in our space. Compared to the excessive noise in our industry, tou don’t hear too much out of the mouths of VCs, but believe me they are extremely powerful. Aside from the obvious power from control of funding for investments, they can influence the direction of their portfolio companies, and foster relationships between different companies. VCs influence the sellers, in my market, these are the startups. On the other hand, industry analysts, while do have some influence over startups, have an even stronger relationships with the buyers, (and media) in this case is the the Fortune 5000 companies that seek help to make decisions on how to organize their company, staff, budget and deploy social computing. Despite these different takes on the same market, VCs and industry analysts are answering the same questions: 1) What’s going to matter in the future? 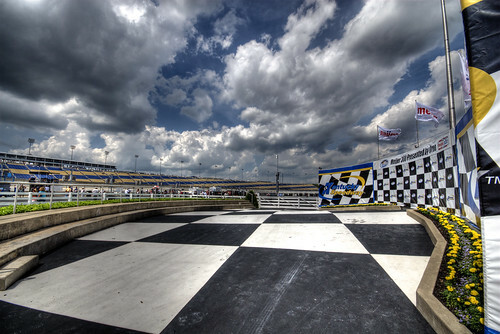 2) Who’s going to do it? In fact, while the methodology differs slightly, both analysts and VCs are conducting research, taking in pitches and briefs, and finding out what others think of companies before they fund or recommend them. Given the similiar goals, last week, my long term friend Jennifer Jones, a marketing expert who is known for her work with VCs such as Mayfield, Versant Ventures, Scale Venture Partners, and Levensohn is my go to guide to meeting these folks. In fact she helped coordinate a dinner between myself and Scale Venture Partners with a handful of their web portfolio companies (VPs, CMOs, CEOs and founders) and potential investments. So what did we talk about? We all see the same direction of the social web, the social graph is going to separate and be available from many different websites. Micromedia tools are powerful for support and marketing, but monetization is still a mystery. Jokingly, Microsoft and Yahoo aren’t known for innovation and flexibility, yet we are in awe with Google, Apple, and Facebook. There are too many players in the space due to commodity technology, the need for segmentation and stratifcation is needed. Funding for social media in the marketing space slowly grows as it gets pulled from other traditional marketing channels, many are looking at where other buckets of money can come from within the enterprise in IT, HR, and maybe even Sales. There’s a need to bring the varying vendors together for roundtables to discuss how data will be shared from site to site as the entire web becomes more social. As you can tell, we all learned alot from this trifecta of entrepreneurs, VCs and industry analysts; it was healthy to bring forward a larger part of the ecosystem to share with each other. VCs also want to demonstrate to their investments and investors that they’re highly connected, influential, and have a broad set of connections. Jennifer is setting up some future VC/Entrepreneur/Analyst dinners, if you’re a VC firm and want to participate, I recommend you contact her, as I’ll be spending more time with this powerful influence group as I move forward, it gives me a greater viewpoint to how the market is shaping for my research as well as providing portfolios with access to brief analysts on what they’re working on.